The Hannover Ottoman bed is ideal for compact spaces and smaller bedrooms where space is at a premium and any extra storage spaces are greatly appreciated. The discrete storage space offers practicality to any bedroom, strong gas-lifts helps to access the storage space. 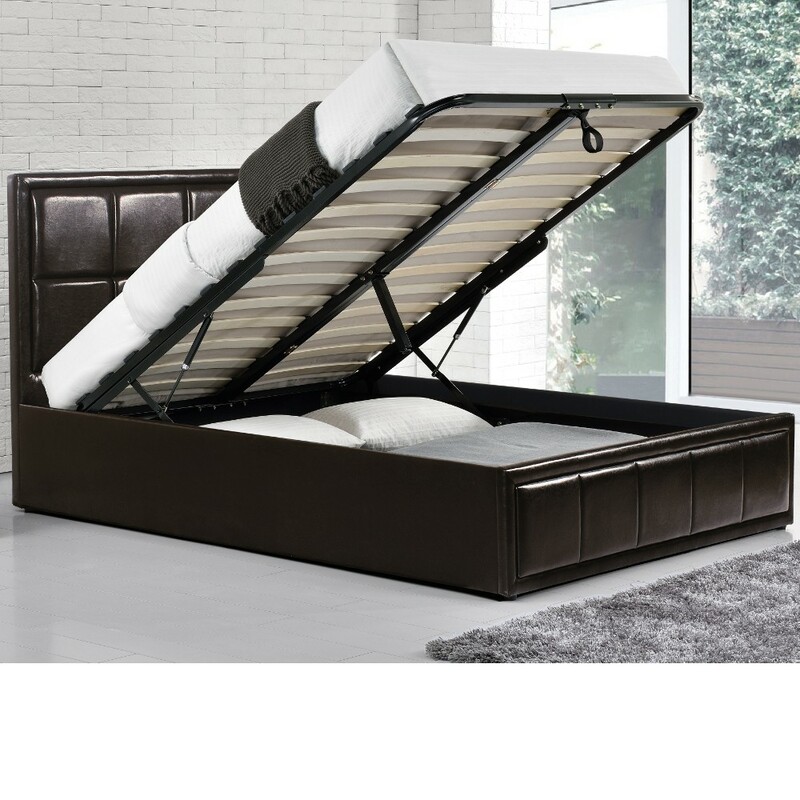 The ottoman bed lifts up from the footend. Upholstered in luxurious high quality PU Brown Leather, this bed will surely be a great match to any bedroom decoration. The matching square designed headboard and footboard gives a very elegant and impressive look. The Hannover Ottoman Storage bed is made with sprung slatted base for natural bounce, the bed frame adjusts to where the pressure is excerted to provide greater comfort. The bed is supplied flat packed and can be easily assembled using the instructions provided.